Every volume in the vast library of Islamic religious literature owes its inspiration, thematic content, and "technical" vocabulary in some measure to the Qurʾān and Hadith and to the countless scholars who dedicated their life's work to elucidating those sources. Knowledge of key themes in the Qurʾān and Hadith, and of the hermeneutical questions they raise, is essential to a fuller appreciation of the distinctly theological import of Islam's immense Prophetic legacy. The present chapter supplies the fundamentals of that knowledge. A good deal of the Qurʾānic text is of genuinely theological significance, whether inherently or by implication. The overall concept of divine revelation comprises the single largest theological category. At its broadest, it embraces not only a host of self-referential observations on the nature of the revealed text itself but a large number of narrative texts on some two-dozen prophets, ranging in length from a few lines to the whole of sūra 12 with its literarily unified story of Joseph. Numerous brief texts allude to the Qurʾān's divine origin, purity, clarity, veracity, and undeniability (e.g., 2:2, 10:1-2, 15:1, 24:1, and passim). References to Muḥammad's role over some twenty-two years form the single largest subset of prophetic texts. Perhaps the second-most numerous category of theological texts consists of scores of often brief allusions to God's nature and relationship to His creation. References to a variety of specific "doctrinal" matters, from the nature of faith to eschatological themes, comprise a third major theological category. Among the more important specific theological themes suggested in the Qurʾān are divine transcendence and immanence; revelation in creation and through prophets; and the question of human responsibility even in the face of God's perfect knowledge, freedom, and power. The first two themes, divine transcendence and immanence, bookend what is arguably the most fundamental of theological paradoxes-God's complete otherness melded with intense divine involvement with created realities. These two concepts, tanzīh (difference) and tashbīh (similarity), overlap in such a way that the distinction employed in this chapter is a matter of emphasis rather than an absolute dichotomy-a "coincidence of opposites." The second pair, modes of divine disclosure, illustrates the pervasive nature of God's communication. And the last two concepts, divine omnipotence in tandem with human moral accountability, represent one of the most contentious of conundrums. All of these themes eventually became grist for the theological mill of subsequent generations of Muslims, some generating veritable storms of controversy. They represent a very small sample of the full array of theologically charged texts in this scripture. Here are some of the numerous, typically brief, passages that illustrate these themes. God's transcendence and unlikeness to all that is not God (tanzīh) is fundamental to any understanding of Islamic theology. Countless short scriptural texts advert to the perfect divine transcendent unity (tawḥīd), including several, like the celebrated Throne Verse, that incorporate important metaphors. Beginning with that text, here is a sample of key passages. In addition, a number of texts beautifully combine divine transcendence and immanence, thus providing a transition to a clearer articulation of immanence. Here is one such text: "Who responds to the one who calls out to Him in dire straits? And who removes evil [from you] and makes you [pl.] vicegerents of the earth? Is there [another deity] beside God? How little attention you pay. And who leads you in profound darkness on land and sea? And who dispatches, from the [depths of] His mercy, the winds with good news? Is there [another deity] beside God? God far transcends anything [idolaters] equate with Him" (27:62-63). Often less appreciated by non-Muslims are the numerous allusions to God's accessibility and affinity with His creation (tashbīh). Here the images of pervasive light and references to God's face, eyes, and hands offer a sense of this dimension of the divine being. On the other hand, texts describe human beings as capable of surprisingly intimate connection with the Creator. God's commissioning of an unbroken line of prophetic emissaries beginning with Adam forms the most evident theological medium of revelation in the formal sense. But the Qurʾān's consistent use of the striking imagery of signs (āyāt) on the horizons and within the individual person expands the concept of revelation considerably. One of the most evocative scriptural verses (āyāt) in this context even suggests that one could think of the earth herself as God's "first prophet." Referring to apocalyptic signs that the end has come, the text says, "On that day, she [earth] will publish her news, for your Lord will have revealed [that] to her" (99:4-5). The term translated here as "revealed" is from a root otherwise used almost exclusively to denote revelation to prophets (awḥā)-apart from the human prophets, God has communicated thus only with the earth and, curiously, the bee. I begin here with a sample of the many self-referential texts in which the Qurʾān describes its own revelatory credibility and a longer text on the specific issue of the scripture's "inimitability" (a hermeneutical theme to be addressed more fully in the next chapter) in the context of the public's demand for "miracles" from Muḥammad. Many brief Qurʾānic texts not only emphasize God's absolute control but also suggest an almost capricious freedom in determining the ethical course of individual people. Given the larger context, however, these paeans to God's untrammeled supremacy are far more about who God is than what human beings are not. The Qurʾān frequently underscores the divine prerogative by declaring in numerous general comments that God "guides whom He will and leads astray whom He will" (14:4), occasionally offering a brief further specification of the theme, as, for example: "One whom God guides is thus guided, but for one whom God leads astray you will encounter no patron who can suggest a course correction" (18:17). As we shall see, texts such as the following would become pivotal to later discussions of theological ethics. Other texts, however, present a more nuanced picture, hinting at some measure of self-direction. All things considered, the added ingredient in the Qurʾān's consistent language of accountability for one's actions at judgment and the certainty of reward or punishment seems to suggest something of an ethical balance: God indeed possesses all power to dispose, but human beings are not simply constrained to one course or another. If not for that sliver of responsibility, divine justice would be merely a cruel hoax. As for references to specific kinds of actions that will have an effect on one's prospects for salvation, the Qurʾān does offer concrete options. In earlier texts especially, it seems to emphasize aspects of social justice, as in the following text. Many other texts of the Qurʾān consistently require Muslims to share their resources with the needy (e.g., , 3:134, 51:19, 76:8-9) as an essential ingredient in the ethical life. During the Medinan period (622-32) the Muslim community grew from minority to majority status. Behavioral requirements increasingly came to include actions more formally "religious," as suggested by countless texts that emphasize the centrality of performing ritual prayer, almsgiving, profession of faith, and fasting. Other texts, however, place greater stress on inward transformation, as in sūra 49. Hidden amid the ore of traditions attributed to Muḥammad and his Companions are dozens of theologically sparkling gems. Long-standing Muslim tradition teaches that the Hadith, like the Qurʾān, communicate a divinely revealed message, but, unlike the scripture, the articulation of the content is that of Muḥammad himself. From a theological perspective, the most telling texts are those that deal explicitly with a variety of attitudes and values underlying the countless rituals and other practices with which many thousands of Hadiths deal. Sections in the major Hadith collections most likely to contain such themes are those on God's transcendent unity (tawḥīd); faith (īmān); the virtues or excellent qualities (faḍāʾil) of Muḥammad and his Companions and of the Qurʾān; virtuous behavior (adab); God's dominion over human affairs (qadr); the active remembrance of God (dhikr); piety/asceticism and the "softening of hearts" (zuhd, ar-raqāʾiq); repentance (tawba); and eschatology (al-qiyāma, "resurrection"; al-janna, "garden"; an-nār, "fire"; al-fitan, "end-time strife"; as-sāʿah, "the Hour"). Here we have space to deal with only a limited selection of these theologically relevant traditions. A signature Hadith, one that opens the first section of Muslim's collection in the Book of Faith, sets the overall context for theological themes. Known as the Hadith of Gabriel, the extended anecdote recounts a gathering at which a number of Muḥammad's Companions had joined him. Note the revealing angel's "Socratic method" as he draws responses from the Prophet. God's Messenger said [to the Companions], "Ask me [about matters of religious import]," but out of reverence for him they declined to question him. Then a man arrived, sat knee to knee [with the Prophet], and said, "Messenger of God, what is islām?" [Muḥammad] replied, "Not associating anything with God, and performing the ritual prayer, and giving alms, and fasting during Ramaḍān." [The man] responded, "You are correct. Messenger of God, what is īmān?" [Muḥammad] said, "Believing in God, and His angels, and His Book, and [eventually] meeting Him, and His messengers; and believing without reservation in the divine destiny." [The man] said, "You are correct. Messenger of God, what is iḥsān?" He replied, "Fearing God as though you saw Him, for even if you don't, He surely sees you." [The man] said, "You are correct. Messenger of God, when will the Hour arrive?" He answered, "The one you have asked knows no more about that than the questioner. But I will inform you about its characteristics. When you see the indentured woman giving birth to her master, that is one of its signs. And when you see those who are barefoot, unclothed, deaf and mute rulers of the earth, that will be one of its signs. And when you see herders of black camels living luxuriously in buildings, that will be one of its signs. [The Hour] is among the five things so mysterious none but God knows." Then he recited, "Indeed, God alone has knowledge of the Hour, and it is He who sends down the rain and knows what is in the wombs. No individual knows what he may gain tomorrow, and no one knows in what land he will die. Indeed, [it is] God who is knowing and aware" (21:34). [Abū Hurayra, the narrator (d. 678)] went on: Then the man stood [and left]. So God's Messenger said, "Bring him back to me." So they searched for him but did not find him. God's Messenger then said, "This was Gabriel wanting to teach you, when you declined to ask." Many of the Hadiths bearing on human freedom and responsibility seem to tip the balance decidedly toward predetermination of human acts, one of the ingredients of īmān in the Hadith of Gabriel. Witness, for example, a text that states quite starkly the dilemma of predestination. [It may be that] one of you behaves like the inhabitants of Paradise until he is barely an arm's length from it, when his recorded destiny overtakes him so that he [suddenly] behaves like the people of Hell-fire and therefore enters it [instead]; [conversely] one of you [might] behave like the denizens of Hell-fire until he is barely an arm's length from it, when his recorded destiny overtakes him so that he [suddenly] behaves like the people of Paradise and thus he enters it. Note the striking implication that no matter how one leads one's life, a power far greater than individual choice is at work. As parts 2 and 3 or this volume discuss further, this thorny matter would become a major point of debate among systematic theologians during the third and fourth centuries after Muḥammad's death. Not surprisingly, traditions that feature this theme appear in sections of Hadith collections called the Book of Divine Foreordainment (kitāb al-qadr). A man asked [Muḥammad], "O messenger of God, can one distinguish the People of the Garden from the People of the Fire?" He replied, "Yes." Then [the questioner] asked, "Then why do [people bother to] do [good] deeds?" [He replied,] "All individuals will [be inclined to] do what they were made for or what is easy for them." Someone asked God's Messenger about the children of unbelievers, and he said, "God knows what they are inclined to do." . . . [Muḥammad also] said, "Every child is born with the disposition to Islam (fiṭra), then his parents turn him into a Jew or a Christian, much as when you assist birthing of beasts. Will you find any [of those offspring] mutilated before you yourself make a brand on them?" They replied, "O Messenger of God, What is your view of those who die young?" He replied, "God knows what they would have done [had they survived]." ʿĀʾisha asked God's Messenger about the plague. He replied, "It was a punishment that God inflicted upon whomever he so chose. For believers, however, he made it a mercy: any servant living in a region (balad) afflicted by it, who stays there and does not leave the region, exercising long-suffering and counting on [God's mercy], knows that he will not suffer harm except insofar as God has ordained it [lit., written for him] and would [in any case] receive a reward equal to that of a martyr." God's Messenger said, "Indeed, the hearts of all the children of Adam are between two of the fingers of the Merciful, as if [they were] a single heart that He orients as He wishes." Then God's Messenger said, "O God, turner of hearts, orient our hearts toward obedience to You." One intriguing Hadith combines two important theological themes: God's control of all human dispositions and an aspect of the interrelationships among the great prophets. According to Abū Hurayra, the Messenger of God said: Adam and Moses had an argument in the presence of their Lord, and Adam got the better of Moses. Moses said, "Are you the Adam whom God fashioned with His hand and into whom He breathed some of His spirit, and to whom He caused the angels to prostrate themselves, and whom He settled comfortably in the Garden? [And was it you who] then bound humankind to the earth as a result of your fault?" Adam replied, "Are you the Moses whom God chose for delivering his message and to converse with Him, and to whom He entrusted the tablets containing clear explanation of all things, and whom He brought near in intimate conversation? How long before I was created do you think God wrote the Torah?" Moses replied, "Forty years." Said Adam, "And did you see there the words, 'Adam rebelled against his Lord, and was misled'" (20:121)? [Moses] said, "Yes." [Adam] went on, "And [yet] you condemn me for performing an act that God had written, forty years before I was created, that I would do?" God's Messenger added, "Thus did Adam get the better of Moses." On the other hand, a minor subgenre within the corpus of Hadith are sayings emphasizing the priority of God's mercy, even for individuals whose record of detrimental choices in life has destined them for Hell in the hereafter. Unlike the first selection of Hadiths above, many of which occur in sections of major collections dedicated to the theme of divine foreordainment (qadr), more hopeful Hadiths appear in sections on faith (īmān) and repentance (tawba). One intriguing Hadith combines a variety of eschatological themes with a narrative that underscores God's susceptibility to the entreaties of human beings so desirous of a heavenly reward that they persist in badgering God regardless of the limits He has imposed on them. The Hadith opens with people asking Muḥammad whether they would "see" God at resurrection-an issue that arises both in the creeds (see part 2) and the works of systematic theology (see part 3). Muḥammad asks whether the questioners would have any difficulty seeing the full moon, or the sun on a cloudless day. Just so, he explains, they would see God, and He would explain that all people follow what they worship, whether the moon, the sun, or demons. God would appear among the Muslim community in "a form not His own" and announce "I am your Lord," to test them. True believers would "take refuge in God" from what must surely be a deception and insist on staying put until their Lord came in a form they would recognize as God. Then God would appear "in His own form," and after the believers acknowledged that this was indeed their Lord, they would follow him on a tour of the infernal realm. God would then ask angels to bring out of Hell those who had clearly never worshipped any but God, as evidenced by the traces of prostration on their foreheads, marks that God had commanded the Fire to refrain from effacing. At length the final man to emerge from Hell stands before God to plead for his release, but continues to stand facing Hell. Here we pick up the text of this lengthy narrative as the man entreats God insistently, much as Abraham refused to give up when seeking the salvation of the just at Sodom and Gomorrah. "O Lord, avert my face from the Fire, whose fumes have poisoned me and whose flames have scorched me." Then he will implore God as God wishes him to supplicate. God the Blessed and Exalted will say, "Were I to do [as you request], you might just ask for more." Then [the man] will say, "I won't ask for more," and will provide his Lord such covenants and assurances as God desires. Then God will avert [the man's] face from the Fire. When [the man] turns to the Garden and beholds it, he will cease to speak as long as God desires his silence. Then [the man] will say, "O Lord, advance me to the gate of the Garden." And God will say to him, "Did you not agree and assure me that you would not ask for more than I have granted you? Woe to you, most deceitful Son of Adam!" And [the man] will say, "O my Lord," and will go on supplicating God until He replies, "If I accede to that request of yours, perhaps you will ask for more." Then [the man] will say, "No, by your might," and will provide his Lord agreements and assurances. And [God] will bring him to the gate of the Garden. And as the man stands at the gate of the Garden, the Garden will spread wide before him and he will see the good things and evil in it. He will hold his peace so long as God wishes him to do so, then he will say, "O my Lord, grant me entry into the Garden." And God the Blessed and Exalted will say to him, "Did you not make a solemn pact that you would not ask for more than you have been given? Woe to you, most deceitful Son of Adam!" Then [the man] will say, "O my Lord, let me not be the most unfortunate of your creatures, and he will go on entreating God until God, the blessed and exalted, laughs at him. Then God will laugh at him, and say, "Enter the Garden." And when [the man] has entered, God will say to him, "Make your request," and he will ask his Lord for what he desires, until God reminds him of this and that [which the man will have left out]. And when [the man] has run out of things to ask for, God the exalted will say, "[All] that is for you, and that much again." Many Hadiths make it clear that people's actions toward others influence how they can expect God to act toward them when they are called to account at judgment. According to Abū Hurayra, the Prophet said, "Once there was a man who loaned money to people, and who used to say to his assistant, 'When you encounter a person going through hard times, go easy on him, and perhaps God will go easy on us.' And [Muḥammad went on] when he came to meet God, God went easy on him." Some Hadiths emphasize that regardless of an individual's sinfulness, in the end, attitude trumps actions. Abū 'd-Dardāʾ (d. 652) reported that he heard the Prophet delivering a sermon from the minbar, saying, "Anyone who fears being in the presence of his Lord will receive two Gardens." [Abū 'd-Dardāʾ] asked, "Even after fornicating and stealing, Messenger of God?" Then [the Prophet] repeated, "Anyone who fears being in the presence of his Lord will receive two Gardens." [Abū 'd-Dardāʾ] asked again, "Even after fornicating and stealing, Messenger of God?" Again [the Prophet] repeated, "Anyone who fears being in the presence of his Lord will receive two Gardens." A third time, [Abū 'd-Dardāʾ] asked, "Even after fornicating and stealing, Messenger of God?" And [Muḥammad] replied, "Even in spite of Abū 'd-Dardāʾ." The question of prophetic intercession, and intercession in general, has been a much-discussed theme in Islamic theological texts. Numerous Hadiths on the subject lean decidedly toward Muḥammad's intercessory prerogative, describing his superiority over the previous prophets in this respect. An important narrative form of this theme opens with a setting in which Muḥammad and a group of Muslims are discussing the subject of the Day of Resurrection, and the Prophet asserts that he will lead all humankind on that day. The narrative then unfolds with a description of how people in great travail and anguish on the Day will cast about for an intercessor and progress from Adam through a succession of major prophets until at length they discover that only Muḥammad can fulfill their need. The following version foregrounds the theme of Muḥammad's insistence on effecting maximum assistance for believers residing in Hell, until He secures God's assurance that even a virtually imperceptible quantity of faith will suffice. [The famous traditionist Anas ibn Mālik (d. ca. 710) recounted the Hadith of Intercession, reporting the words of Muḥammad as follows:] On the Day of Resurrection, people will encounter one another in agitation [lit., heaving like waves]. They will come to Adam, saying, "Intercede for your descendants." He will reply, "That is not for me to do. You must approach Abraham, for he is God's Intimate Friend (khalīl)." So they will go to Abraham, but he will say, "That is not for me to do. You must go to Moses, for he held direct conversation with God (kalīm)." So they will approach Moses, but he will reply, "That is not for me to do. You need to approach Jesus, for he is the Spirit and Word of God." So to Jesus they will go, but he will say, "That is not for me to do. You need to see Muḥammad about this. So they will come to me, and I will say, "That is my prerogative, and I will hasten to seek permission of my Lord, and he will allow it. Then I will stand in His presence, and laud Him with praises the likes of which I am now unable [to express], but with which God will inspire me. I will then fall prostrate, and [He will say] to me, 'O Muḥammad, lift your head; proclaim and you will be heard; ask and it will be granted; make intercession and intercession will be made.' Then I will say, 'My Lord, my community! My community!' And the reply will come, 'Go forth, and bring out whoever has faith in his heart the weight of a grain of wheat or barley seed,' and I will hasten to do so. Then I will return to my Lord and laud Him with that praise [that He will teach me then], and I will fall prostrate before him. Then the words will be said, 'O Muḥammad, lift your head; proclaim and you will be heard; ask and it will be granted; make intercession and intercession will be made.' Then I will say, 'My Lord, my community! My community!' And the reply will come, 'Go forth, and bring out whoever has faith in his heart the weight of a mustard seed,' and I will hasten to do so. Then I will go back to my Lord and laud Him with that praise [that He will teach me then], and I will fall prostrate before him. Then the words will be said, 'O Muḥammad, lift your head; proclaim and you will be heard; ask and it will be granted; make intercession and intercession will be made.' And I will say 'My Lord, my community! My community!' And the reply will come, 'Go forth, and bring out whoever has faith in his heart theminutest fraction of a miniscule grain of mustard seed,' and I will hasten to do so." Some Hadiths comment on specific texts of the Qurʾān and function as examples of ad hoc exegesis. In this tradition, for example, Companion Ibn ʿAbbās (d. ca. 687), also among the earliest authors of a formal exegetical commentary, reports on the meaning of one such scriptural verse. When the following verse was revealed, "Whether you divulge what is within your mind, or keep it hidden, God will hold you responsible for it" (2:284), something penetrated their hearts the likes of which had never before penetrated their hearts. The Prophet said, "Proclaim: We have heard and obeyed and surrendered." [Ibn ʿAbbās] went on: Then God introduced faith into their hearts and God most high revealed [the verse], "God tasks no soul beyond its capacity. To each redound both the benefits and the liabilities of its choices (2:286). [One ought to pray:] "O our Lord, do not dismiss us if we succumb to forgetfulness or sin." [The Lord] said, "So I acted accordingly." [Prayer continues:] "Our Lord, do not burden us as you did our forebears. . . . And forgive us and be merciful to us, [for] you are our protector" (2:286). [The Lord] said, "So I acted accordingly." It is hard to imagine how anyone could read chapters on "repentance" in the Hadith collections and conclude that the God to whom Muslims pray is cold and capricious and that human choice and moral responsibility are a sham. Many Hadiths on the subject of repentance turn on the conviction that God so intensely desires repentance as a reason for forgiving humankind that if His creatures did not sin, He would arrange a pretext for forgiving. God's Messenger said, "By the One who holds my life, if you did not commit sin, God would surely dispense with you and would replace you with a people who would sin. They would then ask God's forgiveness and He would grant his pardon." Some traditions emphasize that God's mercy can counterbalance even the most desperate human attempts to circumvent the divine justice, as in the following remarkable narrative of a man who was convinced that God could not possibly forgive the depth of his sinfulness. A man who had done absolutely nothing good for his family said [as a last will and testament]: "When [my body] is dead, burn it. Then scatter half of it on land and half at sea." He swore that if God got hold of him He would punish him as He had never punished anyone in the two worlds. And when the man died, they did as he had stipulated. But then God ordered the land to gather what [had been scattered] over it, and commanded the sea to bring together what [had been scattered] over it. Then [God] asked [the man], "Why did you do this?" He replied, "Out of [fear of] your reckoning, O Lord, but you know [that]." So God forgave him. Muslim tradition presents the unmistakable underlying conviction that "God's mercy outweighs His wrath." In fact, one Hadith insists that God in effect "foreordained" that orientation for Himself, "writing it in His Book" at the very moment He created the world while sitting on His Throne. Forgiveness is one of God's favorite pastimes, as in this brief Hadith: "Each night, during the third watch, God descends to the lowest heaven and asks, 'Is there anyone who calls me that I might answer? Who makes a request of me that I might grant it? Who seeks my forgiveness that I might forgive?'" Indeed virtually all of creation is composed of divine mercy, even with God holding ninety-nine percent of the total in reserve for Resurrection Day. On the day He created the heavens and the earth, God fashioned a hundred mercies, every one of which could span the distance between heaven and earth. One of these mercies he planted in the earth, and by means of it the mother expresses affection toward her child, and the wild beasts and birds show tenderness to one another. So on the Day of Resurrection, He will complete those [ninety-nine] mercies with this [earthly] mercy [i.e., He will apply the whole of His storehouse of mercy]. Many other Hadiths highlight God's forbearance and mercy, as well as a strong sense of the individual's moral responsibility in choosing his or her course of action. Here there is no question but that in God's eyes the benefit of even the intent to do good far exceeds the damage done by an evil deed contemplated and consummated. God's Messenger said that God said: "When a servant of mine takes a notion to do good, but does not do it, I record as a good deed for him; but if he does it, I record from ten to seven hundred goods to his credit. And if he considers doing evil but does not do it, I do not record it against him; but if he does the evil deed, I record him [as responsible for] one evil deed." The prior Hadith begins to reveal an important level of historical and theological complexity in the literature, suggesting important but too little appreciated facets of the divine interest in human welfare. Many other Hadiths offer a sense of God's irresistibility and attractiveness, as in the refreshingly direct, "God is beautiful and He loves Beauty." But there is yet another dimension of the literature that underscores the divine accessibility in a way that deserves special attention. Tucked away among some of the sayings attributed to the Prophet are sayings in which Muḥammad reports striking revelations not considered part of the Qurʾān. Quoting God, as it were, Muḥammad discloses arresting insights into the Creator's complex relationships with His creation at every level. As in the prior Hadith about the centrality of moral intention, these Sacred Hadiths typically emphasize God's mercy, immanence, and affection for humankind and a willingness to meet human beings more than halfway. Here are several Hadiths that describe God's intimate relation to creation and to humankind, concluding with one that reprises the essential connection between many Hadiths and the sacred scripture. I am in the midst of my servant's thoughts of me [or perhaps: I conform to my servant's image of me], and I am with him when he brings me to mind. Should he remember me privately, I remember him in private; and if he recalls me in public, I bring him to mind in public in a still better way. My servant comes ever closer to me through works of devotion [i.e., other than those prescribed as religious duties]. When anyone comes toward me a hand's breadth, I approach a forearm's length; if anyone comes toward me a forearm's length, I approach by the space of outstretched arms; if anyone comes toward me walking, I will come running. Then I love that person so that I become the eye with which he sees, the ear with which he hears, the hand with which he takes hold. And should that person bring to me sins the size of the earth, my forgiveness will be a match for them. Abū Dharr (d. 652) reported: God's Messenger recounted that God the Exalted says, "My servants, apart from those I have guided, you are all wandering in error; but if you petition Me, I will show you the way. Except for those I have enriched, you are all impoverished; but if you petition Me, I will provide you sustenance. Except for those I have kept [from sinning], you are all sinners; but if anyone aware of my power to forgive asks my forgiveness, I will forgive that person without question. If all of you from first to last, living or dead, young or old, were as pure in heart as my most pure-hearted servants, it would not amplify my sovereignty by even a gnat's wing. If all of you from first to last, living or dead, young or old, were as false-hearted as the most false-hearted of my servants, it would not detract from my sovereignty by even a gnat's wing. If all of you from first to last, living or dead, young or old, assembled in an open plain, and every one pleaded for everything his hopes could embrace, and I responded with all that every person had requested, my sovereignty would no more diminish than would the sea if one of you walked by, dipped a needle in and withdrew it. For I am beneficent and exalted, and I do whatever I will. My very speech brings about both reward and punishment. When I desire something, I need only say 'Be' and it comes to be." [A Hadith that enshrines direct citation of God:] According to Abū Hurayra (d. 678), God's Messenger said: "Whoever prays the ritual prayer without reciting as part of it the 'Mother of the Qurʾān' [i.e., Sūrat al-Fātiḥa], then [that prayer] is defective [he said this] three times) and incomplete." So someone said to Abū Hurayra, "But we are behind [i.e., following the lead of] the imam." So he replied, "Recite it to yourself, for I have heard God's Messenger say, 'God Most High has said, "I have divided the ritual prayer in two parts between Me and my servant, and my servant will get what he asks for. So when the servant says, 'Praise to God, Lord of the Universe,' God Most High says, 'My servant has praised Me.' And when [the servant] says, 'The Compassionate, the Merciful,' God Most High says, 'My servant has extolled me.' And when he says, 'Master of the Day of Judgment,' [God] says, 'My servant has given me glory,' or sometimes 'My servant has given his life over to me.' Then when [the servant] says, 'It is You we serve and from You we ask assistance,' [God] replies, 'This is between me and my servant, and my servant will get what he asks for.' And when [the servant] says, 'Guide us along the straight path, the path of those to whom you have been gracious, not of those who have incurred your anger or of those who wander in error,' [God] says, 'This is for my servant, and my servant will get what he asks for.'" As the prior Ḥadīth Qudsī suggests, some of the earliest commentaries on individual texts of the Qur'ān are those enshrined in sections of the great Hadith collections called the Book of Exegetical Commentary (Kitāb at-tafsīr) and the typically shorter Book of the Excellent Qualities of the Qur'ān (Kitāb faḍāʾil al-Qurʾān). I will later comment further on theological resonances relating to the latter. Bukhārī's edition of the Hadith includes one of the larger assortments (more than 350) of exegetical comments in the genre. Most of the relevant traditions offer information as to early views on the "circumstances of the revelations" (asbāb an-nuzūl) with short anecdotes describing the context in the life of the Prophet or one of the Companions. Here are examples of Hadiths on the theme of the power and excellence of the Qurʾān. The Prophet of God said to his Companions, "Do any of you experience difficulty in reciting a third of the Qurʾān in a single night?" That [question] was hard for them, and they replied, "O Messenger of God, which of us can do that?" So he said [alluding to key terms opening sūra 112], "God the One, the besought of all . . . " amounts to a third of the Qurʾān. Abū Hurayra said, "God's Messenger delegated me to look after the alms donated during Ramaḍān. Then someone came and began to purloin the [donated] food supplies. I got hold of him and said, 'I'm taking you to God's Messenger!' . . . He said to me [attempting to offer me a reason for not doing so], 'When you retire to your bed, you should recite the "Throne Verse" (2:255) so that a protector will descend to you from God, and Satan will not come near you till you awake.' Then the Prophet said, 'He was telling you the truth, even though he is a liar-that was Satan.'" Usayd ibn Khuḍayr recounted that as he recited Sūrat al-Baqara (sūra 2) one night, while he had his horse tethered nearby, the horse became agitated. When [Usayd] stopped, the horse calmed down, and when he resumed reciting, the horse was again agitated. So he stopped again, and again the horse became calm. [Usayd] resumed reciting again, and once more the horse became riled and distressed. So he ceased [reciting] again, for his son Yaḥyā was nearby and he was concerned that [the horse] would step on him. When he removed the boy [from danger] he lifted his head toward the heavens, but could not see them. When he awoke, he related [this story] to the Prophet, who said, "Recite, Ibn Ḥuḍayr; recite, Ibn Ḥuḍayr!" Ibn Ḥuḍayr replied, "Messenger of God, I was concerned [the horse] would trample my son, Yaḥyā, who was nearby. I looked up as I turned to him. When I lifted my head toward the sky, [I saw] something like clouds in which there appeared to be lanterns, so I departed to prevent myself from seeing that." [The Prophet] asked, "Do you understand what that was?" [Ibn Ḥuḍayr] answered, "No." [The Prophet] said, "That [cloud] was angels attracted to your voice. Had you continued reciting, it would have remained till dawn so that people would have observed it because it would not have disappeared from [their sight]." Chapter 2 features primary texts of various scholars explicitly concerned with a range of hermeneutical issues adumbrated in the Qurʾān and Hadith. Here are two examples of how a number of Hadiths raise these questions in a nontheoretical way. In addition to the many Hadiths that offer commentary on various verses of the Qurʾān, others provide insight into important and sometimes contested matters of how the sacred text was revealed. One such point of interest has to do with Muḥammad's manner of responding to texts as they were being revealed and another with the so-called seven readings of the Qurʾān. The first Hadith turns around Ibn ʿAbbās's commentary on the Qurʾānic verse in which God instructs Muḥammad, "Do not move your tongue [in the recitation] in an attempt to hasten the process" (75:16; see also 20:114). [Ibn ʿAbbās commented]: Whenever Gabriel came down to him with the revelation, he would move his tongue and lips, and it was a struggle for him and one could tell accordingly [that God was communicating with him]. So God sent down the verse [in the sūra] that begins, "I swear by the Day of Resurrection" (75:1), "Do not move your tongue [in the recitation] in an attempt to hasten the process, for We will see to gathering it [in your memory] and the recitation of it" (75:16-17). In other words, it is up to Us to assemble [the message] in the core of your being and [make it possible for you] to recite it. "So when We have recited it, follow its recitation" (75:18) [means] "So when We have sent it down, listen attentively." Then, "It is up to Us to clarify it" (75:19) [means] "It is up to Us to articulate it with your tongue." Therefore, when Gabriel came to him, he would bow his head in silence, and when [Gabriel] departed, he would recite as God had promised him. ʿUmar ibn al-Khaṭṭāb (d. 644) said, "I heard Hishām ibn Ḥakīm ibn Ḥizām reciting Sūrat al-Furqān when God's Messenger was still living. I listened carefully to his recitation, and [noticed that] he recited it with many vocalizations (ḥurūf) with which God's Messenger had not accustomed me to recite. I nearly set upon him during the ritual prayer, but held off for him to complete it. I then confronted him and said, 'Who taught you to recite this sūra as I heard you reciting it?' He replied, 'God's Messenger taught me to recite it.' So I said, 'You're lying, by God! God's Messenger [definitely] taught me to recite this sūra I heard you reciting.' So I hustled him off to God's Messenger, and I said, 'O Messenger of God, I heard this man reciting Sūrat al-Furqān with vocalizations you did not teach me to recite, and it was indeed you who taught me to recite Sūrat al-Furqān.' So he said, 'Recite it, Hishām.' Then he recited it as I had heard him recite it [earlier]. God's Messenger then said, 'It was sent down that way.' Then he said [to me], 'Recite,ʿUmar.' So I recited it as he had taught me to recite it, and God's Messenger said, 'It was sent down that way.' God's Messenger went on, 'In truth the Qurʾān was sent down in seven vocalizations, so recite [pl.] in the manner that is easiest for you.'" 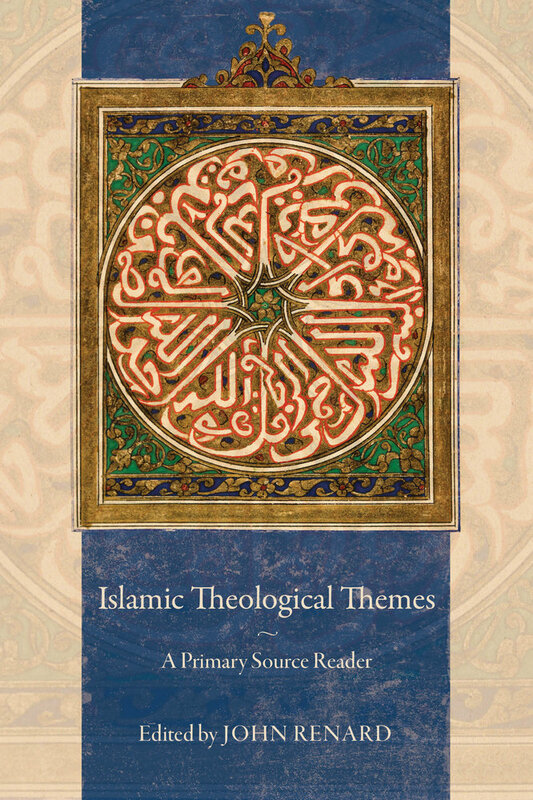 Comprised of primary sources assembled from a broad chronological and geographic spectrum, Islamic Theological Themes is a comprehensive anthology of primary Islamic sacred texts in translation. The volume includes rare and never before translated selections, all freshly situated and introduced with a view to opening doors into the larger world of Islamic life, belief, and culture. 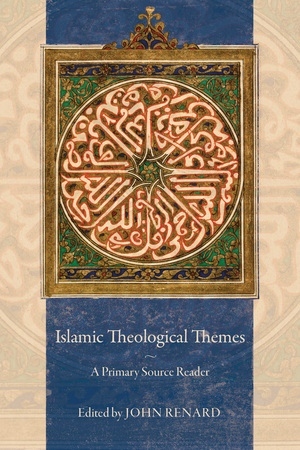 From pre-theological material on the scriptural end of the spectrum, to the more practical material at the other, John Renard broadens our concepts of what counts as “Islamic theology,” situating Islamic theological literature within the context of the emerging sub-discipline of Relational/Comparative Theology. Divided into five parts, students and scholars will find this collection to be an indispensible tool. John Renard is Professor of Theological Studies at Saint Louis University. His many books include Seven Doors to Islam: Spirituality and the Religious Life of Muslims, Windows on the House of Islam, Friends of God: Islamic Images of Piety, Commitment, and Servanthood, and Tales of God’s Friends: Islamic Hagiography in Translation, all from UC Press.